I've gone through HotU twice and still have not been able to romance Aribeth. Not sure what I'm doing wrong? If she dies and is resurrected does that break it? What things should I be doing? I ask her how she is feeling quite a bit. Is it real time based like BG2 was? Any help appreciated. There was a bug in the Aribeth Romance dialog scripts. Not sure if it was fixed in EE. I don't think BD is too keen about fixing content bugs. Their focus is engine bugs and features, which is really the right focus. The fix is fairly easy anyway. 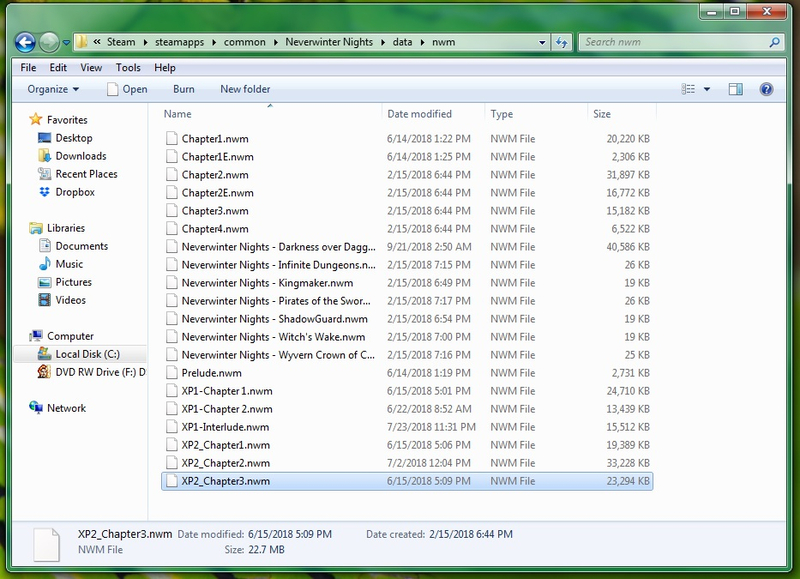 "There is already a NWM file called 'XP2_Chapter3'. In many cases, the NWM file will override the MOD file when attempting to load a module. Are you sure you want to continue saving your module with this name?" Basically, it's only giving me the ability to save it as a brand new module, not override the existing campaign file that's there. Any tips on how to fix this? @leveljumper it is a bit tricky. 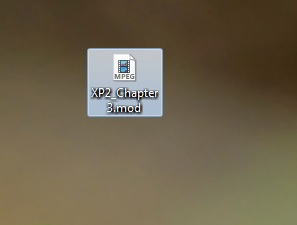 What I do is save it as a regular mod, then change its name to "XP2_Chapter3.nwm" then put it into the nwm folder and replace the old one. Does that work since the replacement is a .MOD instead of a .NWN? @leveljumper it works, but you have to change it to .nwm instead of .mod (windows may warn you not to do this, just ignore it). 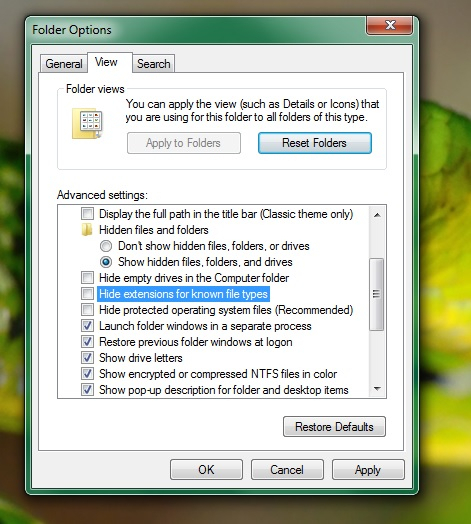 @Leveljumper SAME problem here, Windows 7 64 wont allow me to change to a .NWM file. I even went to properties on new file to tell w7 Media player (.mod file) and changed to the .exe in BIn folder (in steamapp folder) im pretty sure the NWMAIN.exe is the .exe for this file. But the file is still a .mod file. You cant change it unless there is something in w7 I dont know about. Above description is dead on EXCEPT this part. @Tresset could you please please show me (and us) how you changed .mod file to a .nwm file. All I ve done is renamed the app that is supposed to open it but its still a .mod file. @SirYugi007 it is pretty straightforward. You just have to change the name of the extension on the file from ".mod" to ".nwm". I think some systems hide file extensions by default. You have to make sure that they are turned on before doing this. LOL...OOOKKKK..I see i had "known file ext hidden" box checked....THEN the 'double .nwm.mod" file extension came up on file after I unchecked that..! !....tyttytytytytytytyty so much ...Now i'm going to check with toolset to make sure it "APPEARS" when i click to view campaign modules........I did everything BUT that.......that explains everything..